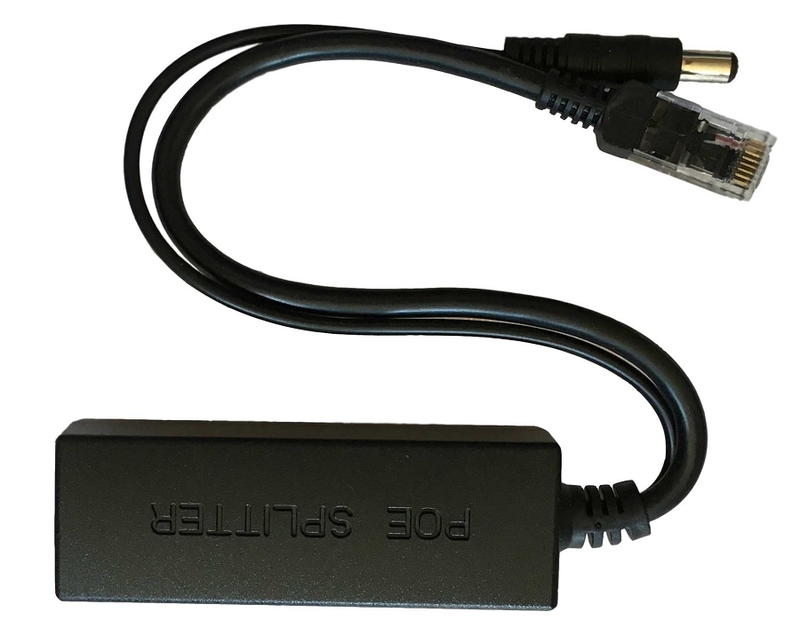 PoE Splitter SA-PD15 12V/5V, 1,25A, 15W. 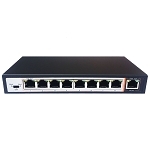 SA-PD15, 15W PoE splitter, it is an economical and practical PoE remote power equipment base on IEEE802.3af standard. It can separate the power and data via cable transmission. 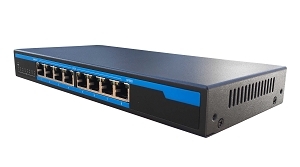 Proper matching use with PoE switch or PSE injector which meet standard IEEE802.3af. 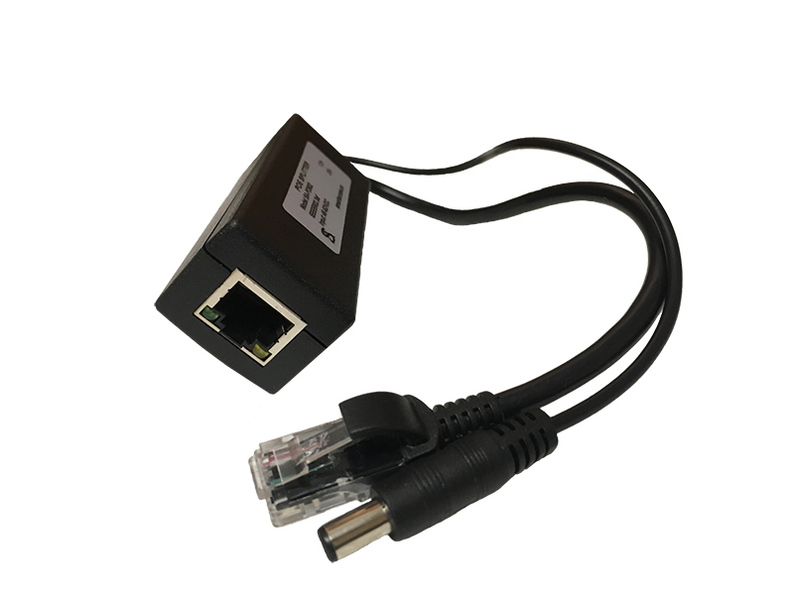 Provides power and data at the same time for the terminal device does not support POE. 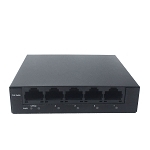 SA-PD15 model output two tranches voltage of 12V use with the power supply equipment, it helps to expand wireless city. 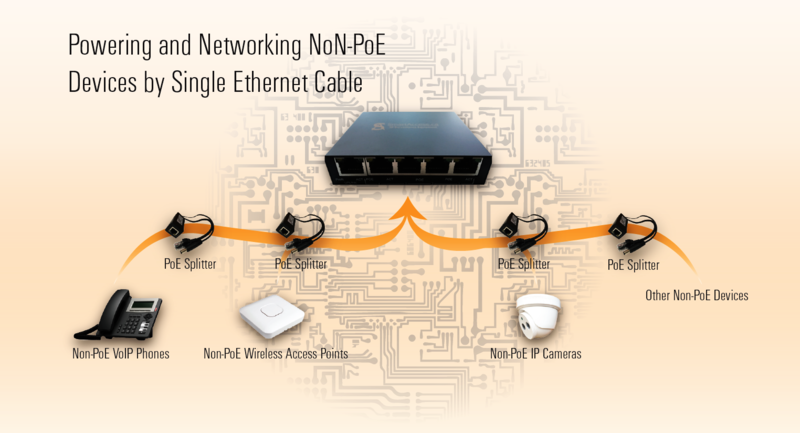 Security monitoring and other PoE practical place, and is not restricted by layout of power line. - PoE Splitter SA-PD15 PDF-Flyer with Diagram. Thanks for diagram, helped me a lot =), nice device!